We had a heavy rain during the night but no wind, thunder, or lightening, so it didn’t keep us awake. It was cold when we hit the road for the day, and I only mention the temperature again because this evening the temperature is 85 degrees!! Not complaining!!! We drove the North Cape Coastal Drive today. 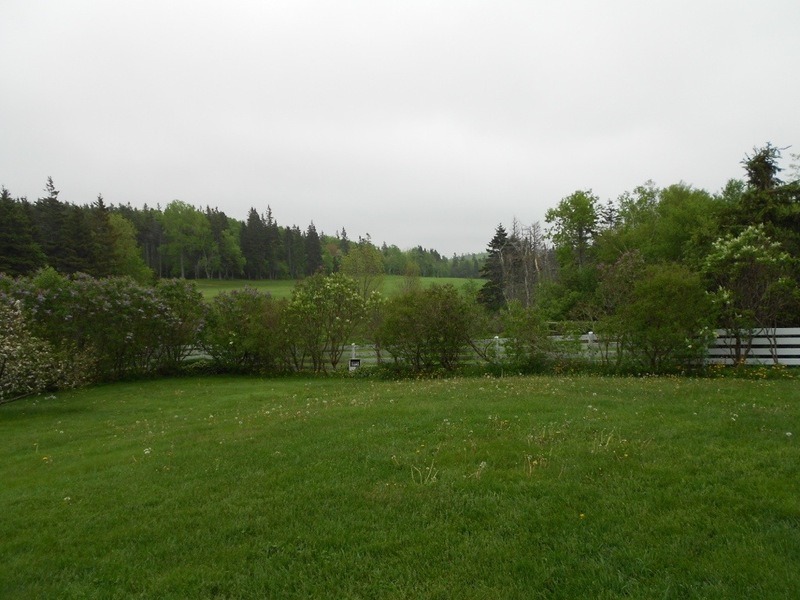 It was somewhat overcast most of the morning but we still enjoyed some beautiful scenery. We’ve never seen such beautiful farmland. 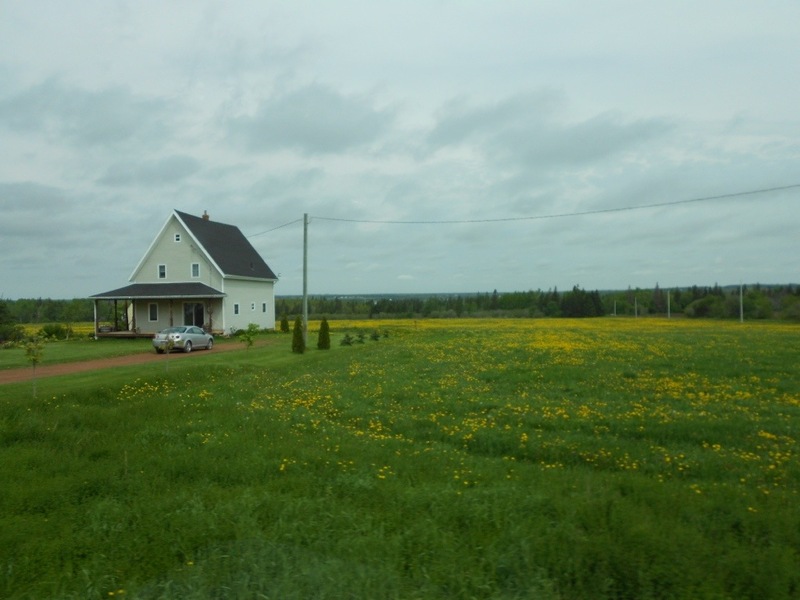 The soil is so pure and it appears the farmers are busy tilling and planting, we assume, their famous Cavendish potatoes. Fishing boats are everywhere. And churches!!!! Every small village has a nice church. We’ve mostly seen Presbyterian and Anglican. We noticed also, since we were driving on Sunday morning, that a lot of the churches were closed. Every so often we would pass a church that was full of people. So we’ve determined they probably have a circuit preacher who stops at a different church every week. The churches all have very tall steeples. You can tell when you are coming upon another village, because you see the steeple first. 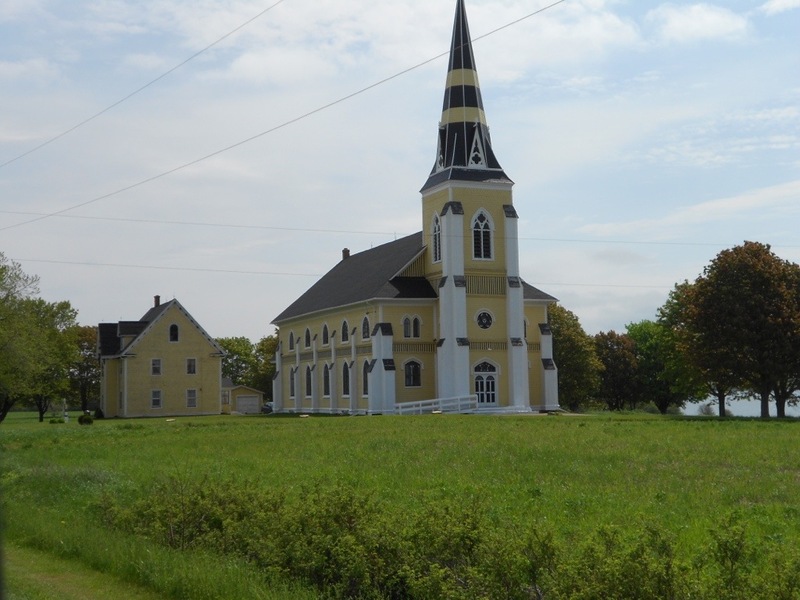 And in the two church photos in this entry, notice the houses next door to each one. We think this is the parsonage!!! It is decorated just like the church. 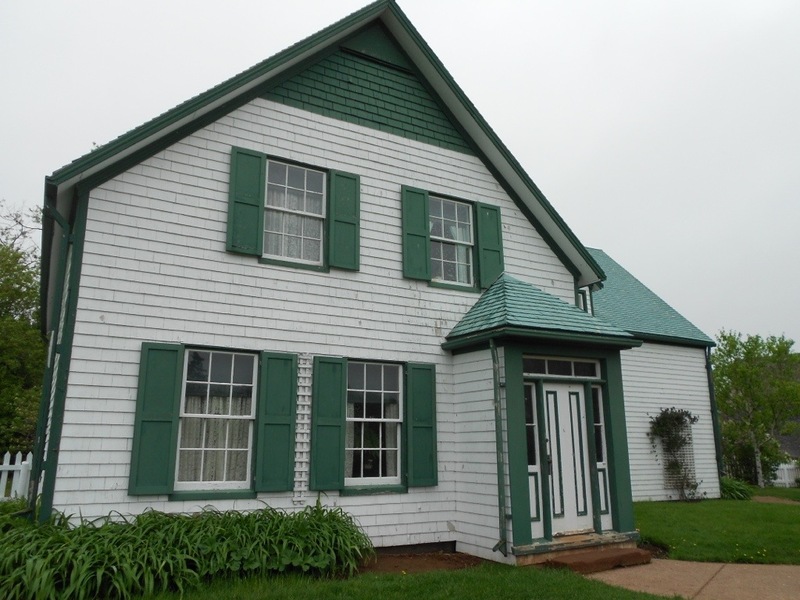 We visited Green Gables and you’ll see some shots of the outside of the house as well as the grounds. We were unable to go into the house. 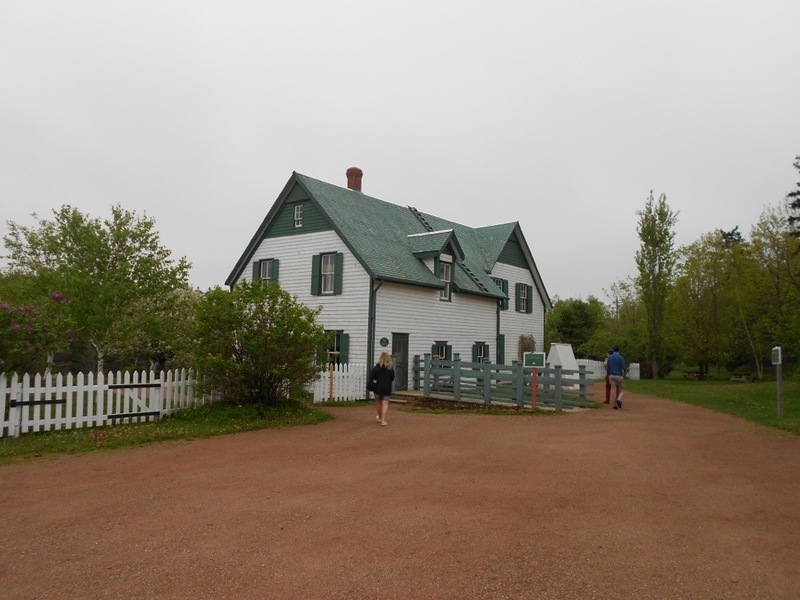 The Canadian government is saving money by closing the house to visitors every Sunday and Monday this summer. I don’t want to talk about it!!! 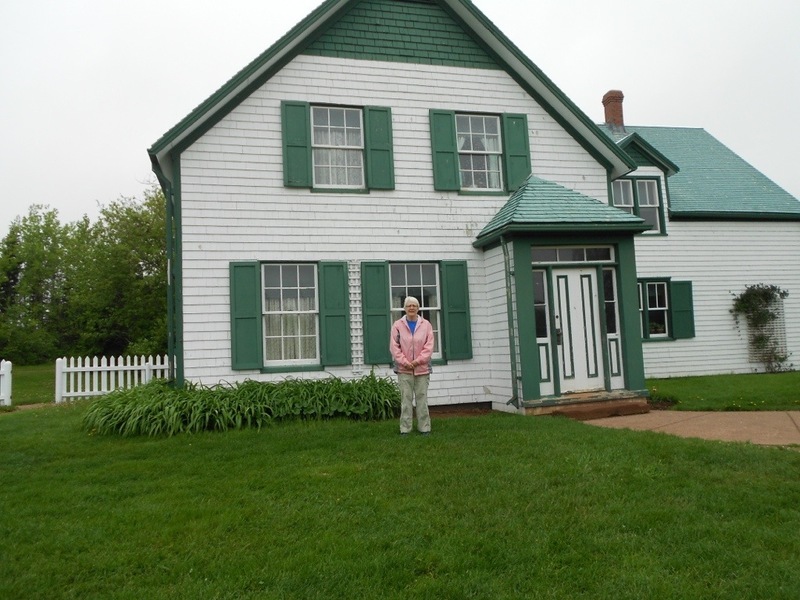 But we did enjoy seeing the house and grounds. And there was no notice for the closing!! We stopped at a little retail fish market and bought fresh scallops and lobster claws (the most tender part of the lobster in our opinion). We had some of the scallops for dinner tonight. I sautéed them in olive oil, a little butter, white wine, and seasonings. Delicious!!!! 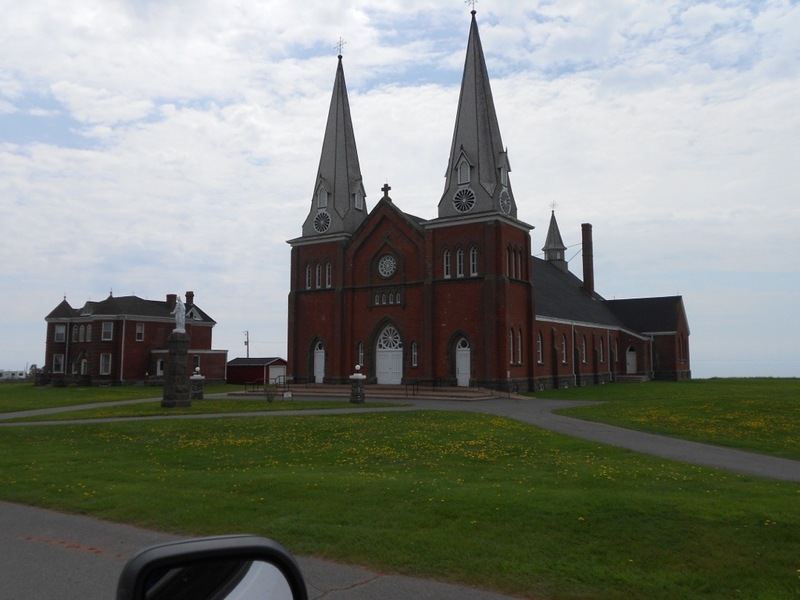 We crossed back over the Confederation Bridge and paid a $45.00 toll to LEAVE the island. 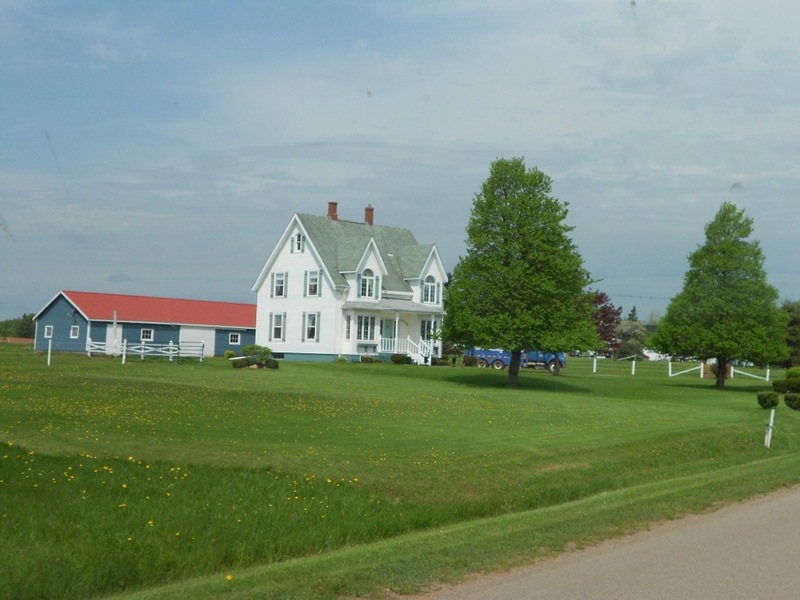 Then shortly we crossed into Nova Scotia and stopped at the Visitor Center for maps and information. We’ve stopped for the evening in the Scotia Pines RV Park in Truro, Nova Scotia. We will probably stay here for two nights so we can do laundry and strategize about our route around the island. 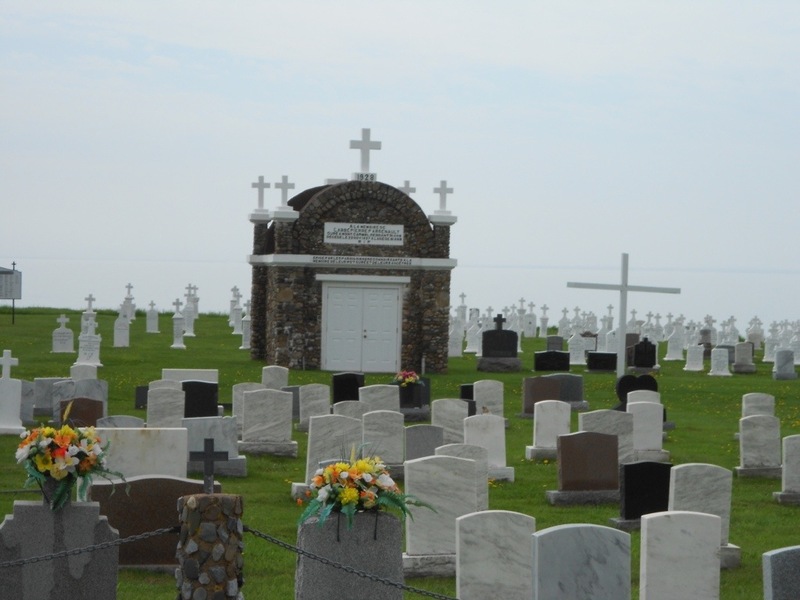 I took the photo of the cemetery because it is right on the ocean. I was foggy when I took the photo, but if you look closely behind the cemetery, you can see the ocean. What a peaceful spot!!! 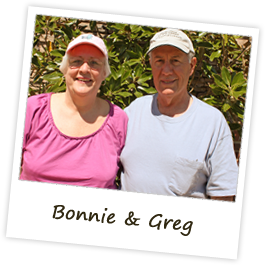 Hey Bonnie and Greg, I have been getting caught up on your trip. Wow love the photos from yesterday. Sorry I didn’t get a chance to call and say safe travels before you left. I have been so busy. I just finished doing a Shutterfly book for Pearson of the Spring Break trip we took him on to Disney. As you can see it is June and we went in March. Can’t seem to stay on top of things lately. I hope the rain stops and the temps warm up for you guys. I love following your blog. We hope to make that trip sometime. I am off to Virginia Wed. to cheer for Nicholas in the Special Olympics. I recently saw a couple of pictures of your precious grandchildren. Number 1 I can’t believe how big Olivia is now and Grayson too. It just seems like yesterday Olivia was born. I told Traci that you guys have some very beautiful grandchildren. One of the photos that I saw was of the whole family and everyone looked awesome. I know you guys are so proud.